5 mil, low-glare, rigid vinyl with a textured surface and UL slip-resistant film. Coated with a high performance solvent acrylic adhesive and backed with a 2 mil film release liner. Durable enough for a variety of applications including floor and display graphics. This product is UL-410 classified for slip resistance. 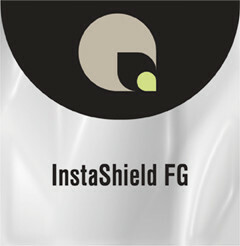 Economical alternative to InstaShield Polycarbonate. Easy-to use pressure sensitive adhesive. Can be combined with InstaBond R when creating floor graphics from photos.